Are you looking for a new way to incorporate devotions with your teen daughter? 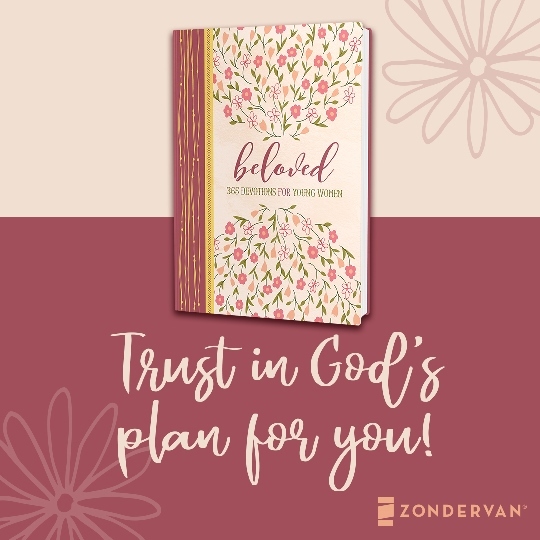 I was recently given the opportunity to review Beloved: 365 Devotions for Young Women from Zondervan, and have been enjoying working through it with my oldest daughter. Here’s a quick look at how we used this product, and what we thought of it. This book is a beautiful hardback book. The edges of the pages have a soft floral design, and it’s really lovely to look at. There is a ribbon bookmark built in, which makes keeping track of where you are easy. Inside, you’ll find 365 short devotions, each designed with a teenage young woman in mind. The lessons are each short, and my daughter and I were able to read through each in just a few minutes a day. Following the verse, there’s a couple paragraphs of text. Some days, it dives into the verse in further detail, helping to pull truths from God’s word. Other days, it discusses a topic that pertains to the verse, helping young women see how God’s word can be applied to their own lives today. Following the text, there are a few blank lines. Teens can use this space for journaling, or just writing a thought or two about the verse. My daughter and I spent a few minutes each morning reading the day’s devotion by the fire. It felt good to snuggle together while the fire blazed, and fill our minds with God’s word before really starting the rest of the day. It only took a couple of minutes to do the reading, which left some time for discussion. The discussion was my favorite part. With our busy family life, it’s always nice to spend some special time connecting with each of the kids and touching base on their thoughts and desires. The topics, though designed to be relevant for young women, are things that every woman could benefit from studying. I really enjoyed the format of this book, and the layout. It was easy to pick up and start working through. I appreciate that the days aren’t labeled by date (ie June 1st, February 15th, etc.) but by Day 1, Day 13, etc. This meant we could start on any day, and if we missed a day, didn’t spend the rest of the time feeling behind. The topics covered were age appropriate, and really brought out some great discussion opportunities. Some days we dove deep into the topics with our discussions, other days we didn’t. Most lessons ended with a question or thought provoking statement. This really lead naturally to a discussion, as we both shared our thoughts. Sometimes our answers or the questions prompted us to open up our Bibles and find a related passage. We didn’t utilize the journaling portion during this review period, but it is something I think would be beneficial as we continue working through this product together. While this product definitely could be used independently by a young woman, I think the true benefit (at least for our family) was found in the discussion. Coming together, mother and daughter, to talk about truths from the Bible was a great way to start the day. If you have a teen daughter who is ready to dive into God’s word while learning about relevant topics, I recommend this product. It’s a lovely book, and the journaling portion can make it a keepsake for years to come. 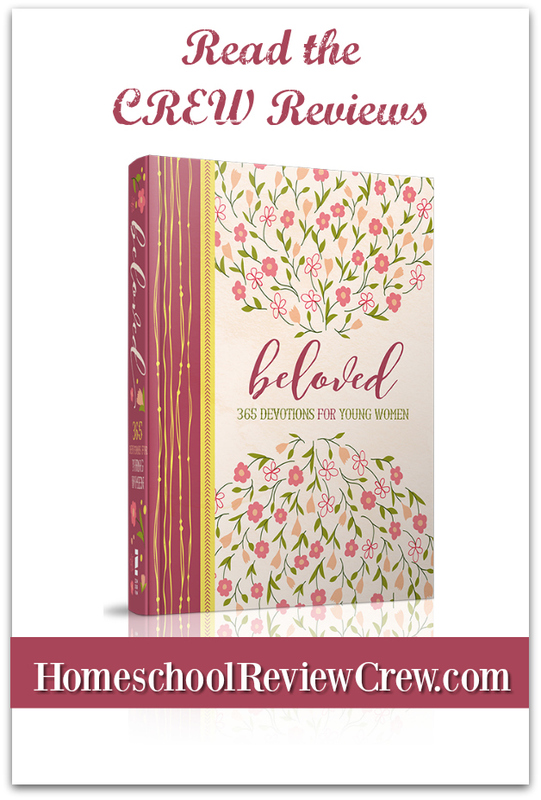 I was one of 60 reviewers to check out Beloved: 365 Devotions for Young Women from Zondervan. See what the other ladies thought by clicking on the banner below.